March 2011 saw the release of the CD and DVD - CROWN HIM KING WORSHIP SESSION - LIVE AT VEREENIGING CIVIC. Over this period he has been performing all over the country. The demand for his music is growing and he is always invited to churches and Gospel festivals all over Southern Africa. He is enjoying huge success at the moment. He has already shared the stage with Sipho Makhabane, Hlengiwe Mhlaba, Ncandweni Christ Ambassadors and many other Gospel Musicians. 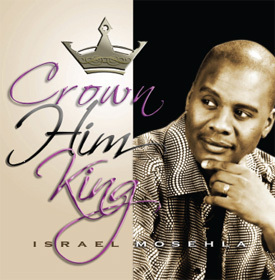 Crown Him King - Live is another top seller from Israel Mosehla!